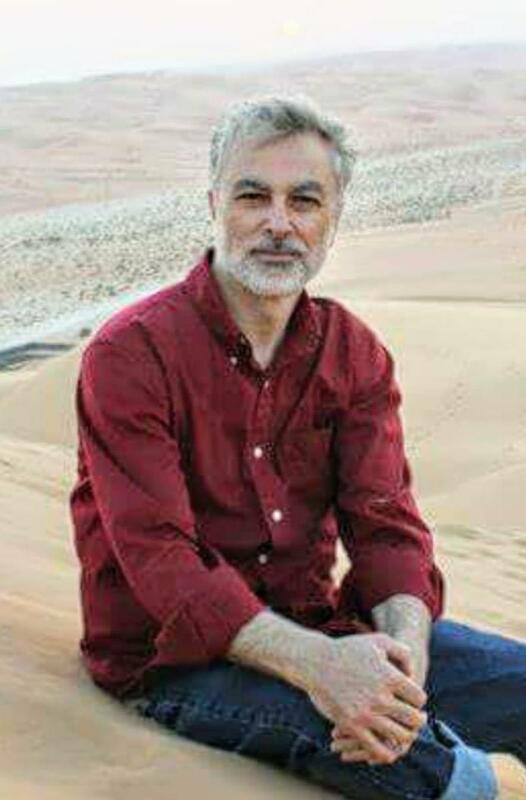 American citizen and 61-year-old psychotherapist Majd Kamalmaz, disappeared on a trip to Syria two years ago and has been missing since. "He felt safe going in. He's an American citizen. He has nothing to do with politics. Why in the world would anyone try to harm him?" asked his daughter, Maryam Kamalmaz, from her home in Grand Prairie, Texas. In an email to NPR, a State Department spokesperson confirmed the U.S. government "is in regular contact with the family" but gave no further details "due to privacy considerations." 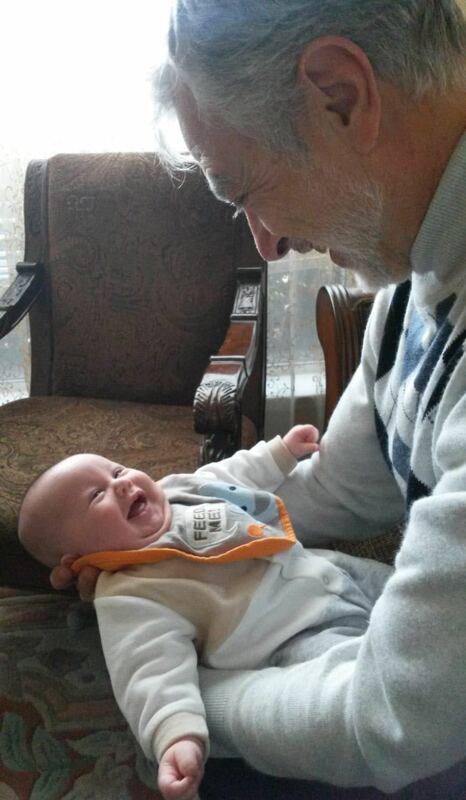 Majd Kamalmaz holds his grandchild in Texas in 2015. Filipi named the particular jail where Kamalmaz was being held in Damascus and pledged to work for a speedy release, said Maryam Kamalmaz. But then, the trail went cold. "We did not hear from her again," she said. "I feel that President Trump has put a lot more effort than any other president in releasing detained citizens abroad," said Maryam Kamalmaz. "Hopefully, he can bring our father home safely." "We've had 17 released and we're proud of that record," he said in May 2018, after welcoming home Joshua Holt, who was jailed in Venezuela for nearly two years. "I have to tell you, that was a tough situation," said the president. "The U.S. government has little credibility with the Syrian government and precious little leverage against it," said Robert Ford, the last U.S. ambassador to serve in Syria. Ford pointed to the cases of other Americans who have been arrested or gone missing in Syria, such as Austin Tice, a freelance reporter contributing to the Washington Post and McClatchy, among other outlets. Tice has been missing since 2012 and is believed held by the regime. The State Department also raised the case of Layla Shweikani, from Chicago, said Ford, "whom the [Syrian government] executed in 2016 on suspicion of links to the opposition," after a trial that lasted less than a minute before the execution order was issued. Kamalmaz's wife and five children, all U.S. citizens, said their father's case is different. His motives were far from political, they insisted, adding that his passion was international disaster relief. He worked in war-torn Kosovo and in Indonesia following the devastating 2004 tsunami. 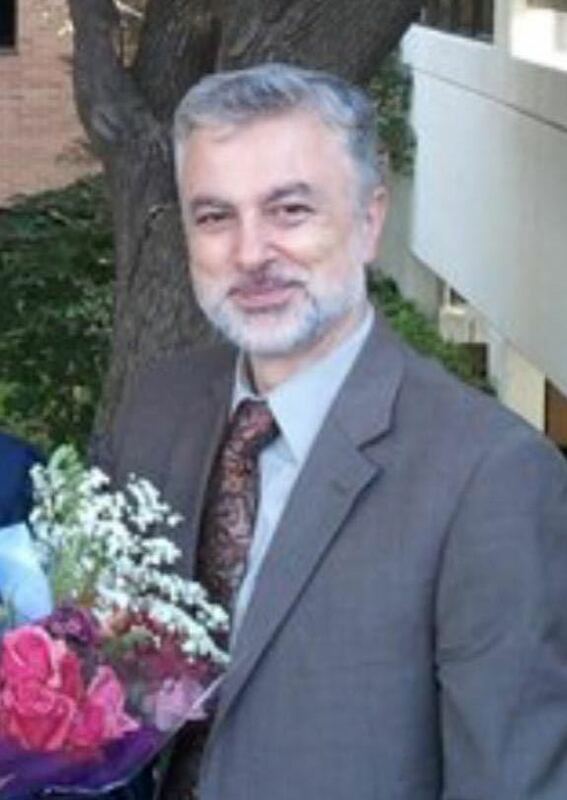 Majd Kamalmaz is photographed at his daughter's graduation from the University of Texas at Arlington in 2011. "He helped these kids heal from fear and panic attacks, it was a high success rate," said Randa Ali, who worked at the center in Lebanon until it closed after his disappearance. "He had a program set up to help kids, to help women, to help victims of torture and he was planning to start working with the elderly." "He was a pioneer who addressed the mental health crisis among Syrian refugees," said Dr. Zaher Sahloul, who helped fund the clinics in 2014 and now heads MedGlobal, a U.S.-based nongovernmental organization that sends medical teams to disaster areas. He did not share his plans to cross the border into Syria with his staff, she said, and Crescenzo assumed his extended absence was due to a visit back to Texas to see his family. "When his wife called, we knew something had gone wrong, " she said. Crescenzo has kept a vigil on Facebook and said she plans to continue until he is safely out of Syria. "He is a very special person," she said. "If he's in a prison, he is sending light to his captors, that's how strong his energy is." KamalMaz may be one of the last U.S. citizens held in Syria's vast prison complex. His family is publicizing his case at a time when Syria's brutal civil war appears to be winding down. The time could be right for a gesture, said Stephen Rapp, who served as U.S. ambassador-at-large for global criminal justice in the Obama administration. "This regime hopes to be readmitted to the family of nations," said Rapp, adding that Bahrain and the United Arab Emirates have opened embassies in Damascus and Syrian officials are reaching out to Europe as the overwhelming need for backing to rebuild after eight years of a devastating conflict. "Assad, in particular, wants the perception that he is someone you can deal with. I think it's certainly worth the effort, encouraging President Trump," said Rapp, adding that there are steps the Syrian government must take to make it possible to end it's pariah status and appeal for international reconstruction aid. "Having a human being released at this point, would be a positive step."